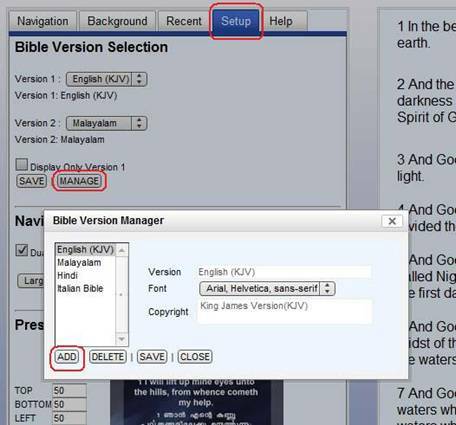 Download the ZIP file containing the Bible translation. Launch VerseVIEW 3.0 and go to the Setup tab. Find the extracted XML file and click “OPEN”. Selected Bible translation will be installed.